Home » The End of Airline Baggage Fees? The End of Airline Baggage Fees? Travelling with your ride is nothing short of a pain in the arse, not least your wallet. Is that about to change? Travelling with your pride and joy can at best be an expensive pain in the arse and at worst bring the onset of an agonising bereavement. Too many stories of airlines charging you more to take your bag than the original ticket, or of baggage handling tossers not treating oversized expensive equipment with the attention it deserves litter blogs and forums across the globe. Imagine if you could say goodbye to baggage fees in one fell swoop and travel the world with your favourite ride tucked into your backpack. Or pick up a city hire car and just slip your board in alongside your hand luggage. This is the dream of Mike Becker, and although he won’t claim to being the first ‘travel surfboard’, he does claim to have perfected the genre. The internet is awash with comment and reviews about existing ‘travel surfboards’ and the obvious fears are only too real. Will it leak? Will it bend? Or will it damn well snap in two mid-ride? Mike Becker has spent the last six years dedicating his life to exactly these issues and the end result is a carbon fibre multipart stringless surfboard, complete with backpack carrycase. Mike has taken apart hundreds of surfboards, purely to go and put them back together again. He has worked with PVC and other composite products to achieve his goal. 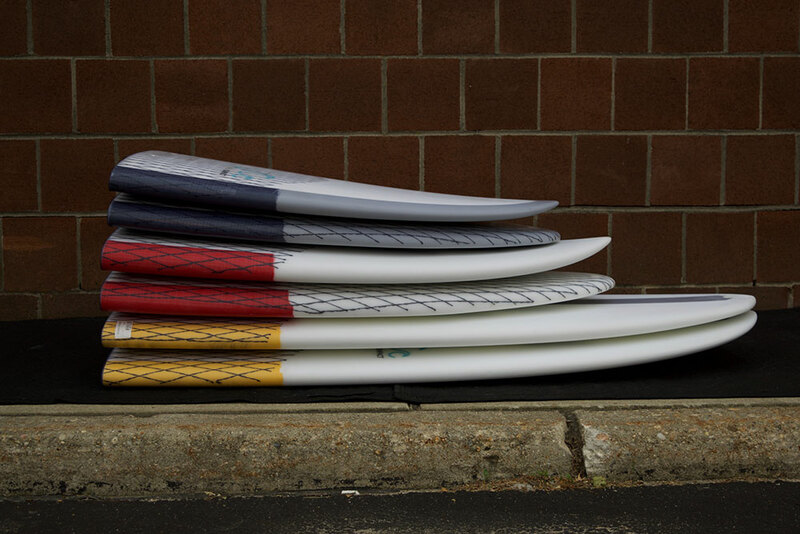 He has done just about everything a shaper could do to make a product that is so similar to your normal full size ride. 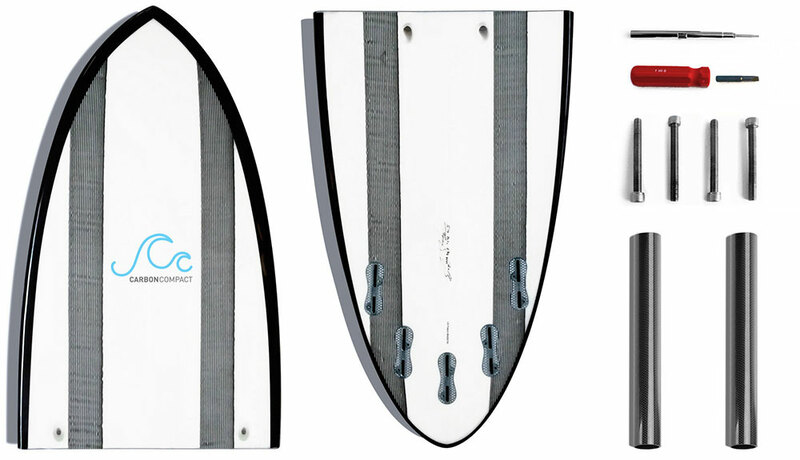 We spoke to Mike exclusively about his board and the efforts that went into making it watertight. “The idea for the carbon compact came about for me years ago. I knew with modern technology there was a way to make a better travel board. A system that is customisable, lightweight and strong while not compromising performance.” Mike told us. Alongside a two part short board, Mike has also constructed some three part longboards, although as he painfully points out these are for custom orders only. Mike often gets quizzed about the durability of the finished product “A lot of people are worried about the flex.” He told us “These boards don’t have a stinger but the glassing along with the carbon fibre materials make a good positive flex. Similar to carbon fibre rails or a parabolic stringer configuration. You would expect definitely better flex and response then a typical centre stringer polyurethane board.” he added. Since launching last year Mike has thankfully received a really positive response, so much so that some people have even come back for a second board. While the jury is still out on any board that can be pulled apart – until you try one yourself and see if it works for your lifestyle – the full benefits may remain unknown. What we can be certain about is that the technology has moved on and it is clear that the concept and build quality of the Carbon Compact definitely deserve closer inspection.